Handmade, Vegan, Cruelty free, Cold process made enriched with natural Glycerine. Certfd Org Coconut & Olive Oils will moisturise and nurture the skin deeply. 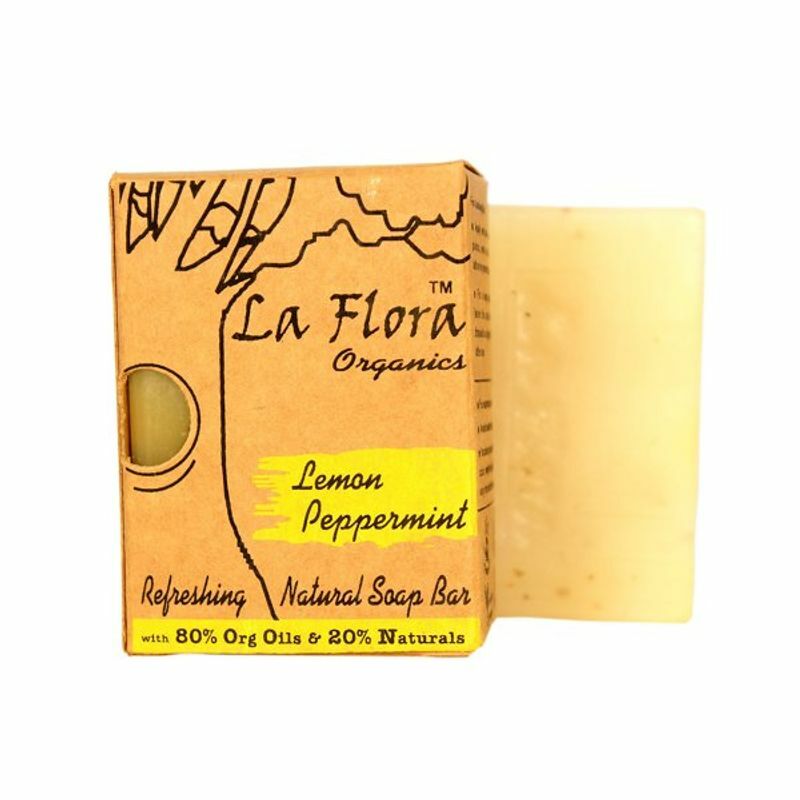 Organic Lemon oil has anti-infection, astringent, detoxifying, antiseptic, sleep inducing properties. 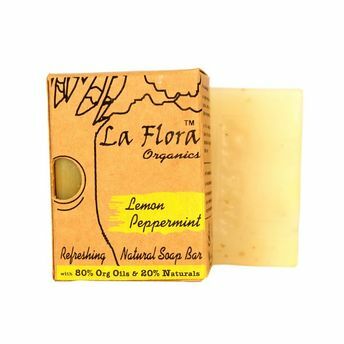 Peppermint essential Oil with real dried Mint leaves has menthol that gives a cooling effect on your skin after bath .Refreshing aroma for the tough manly skin too. Cold process made; naturally cured for 6 weeks to retain glycerine in the soap bar itself. Does not contain sulphates/Parabens/Triclosans/Animal fat/Petroleum derivatives/ artificial foaming agents or hardeners.